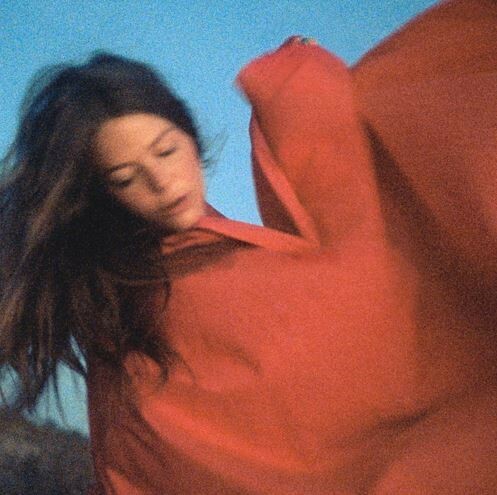 With her signature indie pop feel, Maggie Rogers’ “Fallingwater” provides listeners with an onrush of passion as the terrifyingly thrilling story of change is told. The Maryland musician made a name for herself with her breakout single “Alaska,” garnering her much deserved praise and attention from fans and critics alike. Her debut EP, Now That the Light is Fading, bolstered her name even further. The release of “Split Stones” soon after acted as a parting gift, signifying the end but also the beginning of her musical journey. The track begins with a steady percussion beat and a gentle touch of the piano following shortly that highlight her mellifluous vocals expertly. And just like with water, the track begins as a soft tune that transforms itself into a torrent of emotion and depth, only to return to its subdued phase with an ending that floats around and seduces the listeners’ ear. Her talent doesn’t stop at the track’s end, though. A few days after it dropped, a music video was released to accompany it. Directed by Zia Anger, Rogers stands alone in a desert, clad in red, as she begins to dance loosely and free as the sun shines around her. Her dancing evolves as the sun sets and water begins its downpour onto her. With lightening as her guide, she shows strength and power in her choreography, illustrating a point that she is now in control. As the track comes to a close, so too does her moment of expression. She sinks to her knees, screaming out the last few verses with everything she’s got, and the viewer is right there with her. Rogers’ rise to fame was sudden, giving her little room to breathe. As she took the time away from music, she found herself and grew as an artist. This latest release is a triumphant return that is full of heart and passion. Rogers has made it clear that her future is her own and that she’ll be continuing with a fervent tenacity like no other. Wherever that may lead her, we at Atwood Magazine will be following closely.